I never really grew up liking meatloaf, so when I say this is the best meatloaf I’ve ever tasted, I mean it. Last time I made meatloaf, the fat just sat in the loaf pan, and the meat was too tender and crumbly. These individual meatloafs by Ina Garten are the opposite…they do not crumble, they have the right amount of flavoring, and it is so much fun to eat your own meatloaf. As usual, I halved the recipe and made 3 rather than 6 meatloaves. The recipe is below…enjoy! By the way, my husband loved this! Saute the yellow onions with salt, pepper, and thyme for about 8 minutes on medium-low heat. Lightly combine the ground chuck, onion mixture, eggs, and bread crumbs. Form into 10-11 oz individual loaves. Top with 1 tablespoon of ketchup on each meatloaf. Bake for 40-45 minutes or until internal temperature reaches 155-160 degrees. 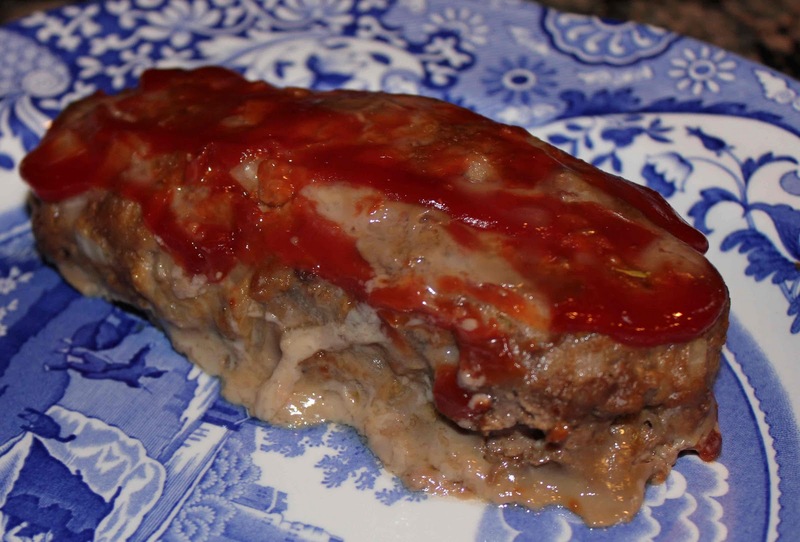 Sorry about the half-eaten meat loaf picture… it was so good I just had to dig in! 2. Heat the olive oil in a medium saute pan. Add the onions, thyme, salt, and pepper, and cook over medium-low heat, stirring occasionally, for 8-10 minutes, until the onions are translucent but not brown. 3. Off the heat, add the Worcestershire sauce, chicken stock, and tomato paste. Allow to cool slightly. 4. In a large bowl, combine the ground chuck, onion mixture, bread crumbs, and eggs and mix lightly with a fork. Don’t mash or the meatloaf will be dense. 5. Divide the mixture into 6 (10 to 11-ounce) portions and shape each portion into a small loaf on a sheet pan lined with foil. 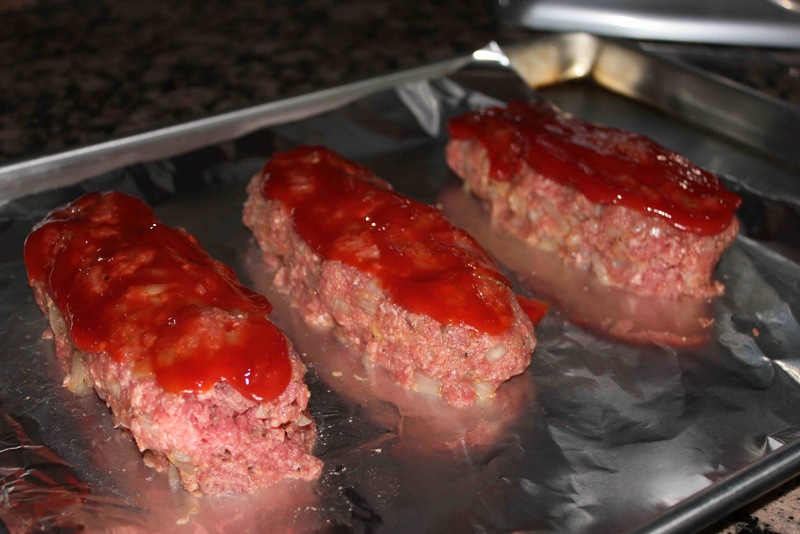 Top with 1 tablespoon of ketchup on each meatloaf. 6. Bake for 40 to 45 minutes, until the internal temperature is 155 to 160 degrees and the meat loaves are cooked through. Serve hot.